I am extraordinarily honored to be here today. It is wonderful to be back in Sri Lanka, for the first time since 2015, when I visited as a member of President Obama’s cabinet. Sri Lanka has been a true partner of the United States, and I am grateful that many of the relationships I was able to form while working with your country have endured, and become very meaningful friendships. Right now, I am in the final weeks of finishing writing a new book. I have been working non-stop to meet my deadline. I won’t even leave my house to buy groceries. But if there is one person who could get me to travel over 8,000 miles at the moment, it is Mangala. Mangala is one of the most remarkable people I encountered during my eight years serving in the US government. So I simply had to be part of this occasion. I have decided to compromise. I will speak today about what we can learn from Mangala’s 30 years in politics about the central challenges of our time – and how we must confront them. The three themes I believe run through Mangala’s life’s work are dignity, modernization, and democracy. So in his honor, I would like to say a few words about each. We have heard about how Mangala began his career, thinking he might become a fashion designer. The late fashion photographer Bill Cunningham once said that, “Fashion is the armor to survive everyday life.” Well, Mangala seems to have concluded from an early age that the most meaningful way to spend one’s days is to use one’s influence to help people. And, specifically, to help people to not only survive daily life, but to help ensure that they are able to build lives of dignity. Mangala, rest assured, you have made one hell of a difference. And you are only getting started! When I asked his colleagues and peers about his lifetime of service, the word I kept hearing was “dignity.” Dignity, dignity, dignity. The belief that every individual is worthy of respect. The word comes from the Latin, dignitas, or “worthiness.” The pursuit and promotion of individual dignity seems to be the animating principle in Mangala’s career. I think of June 1989 and a slight man in grey slacks and a white shirt carrying two shopping bags, who decided to confront one of the hundreds of tanks that were mowing down student protesters in Tiananmen Square. This Chinese man, seemingly on his way home, who we have not seen since, standing before the turret of that tank, embodied the assertion of dignity. I think of December 2010 and a Tunisian fruit seller named Mohamed Bouazizi who was so worn down by the humiliation and corruption he endured every day that he decided to set himself on fire in protest, sparking uprisings that would cascade across the Middle East and North Africa into the Arab Spring. And I think of the mothers I have met here in your country, who clutch the weathered, faded photos of their missing sons and daughters, begging people to hear their cries. Or the heads of household who, needing money to feed their families after the war, relied on micro-lenders for small loans – micro-lenders who extorted them, charging spiraling interest that these families would never be able to pay back. Respecting human dignity means not patronizing those who are less fortunate, but listening to – hearing – the reality of the lived experience of others. Making sure that nobody is invisible. If decision-makers or leaders – whether of countries, of companies, or of classrooms -- can put themselves in the shoes of others, if they can cross this essential imaginative threshold, they will have the motivation we need to act. 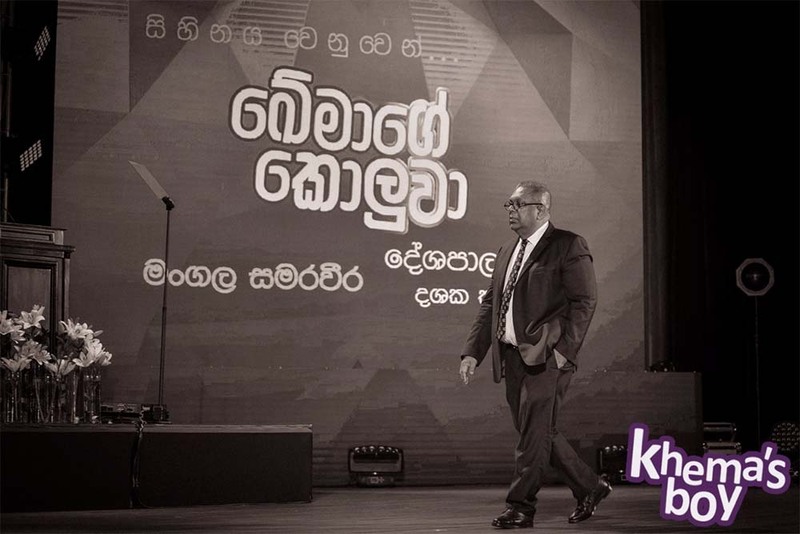 Mangala did this back in 1990 when he founded the “Mother’s Front” with Mahinda Rajapaksa – creating a network dedicated to tracing down information on the disappeared and pressuring the Sri Lankan government to provide compensation. 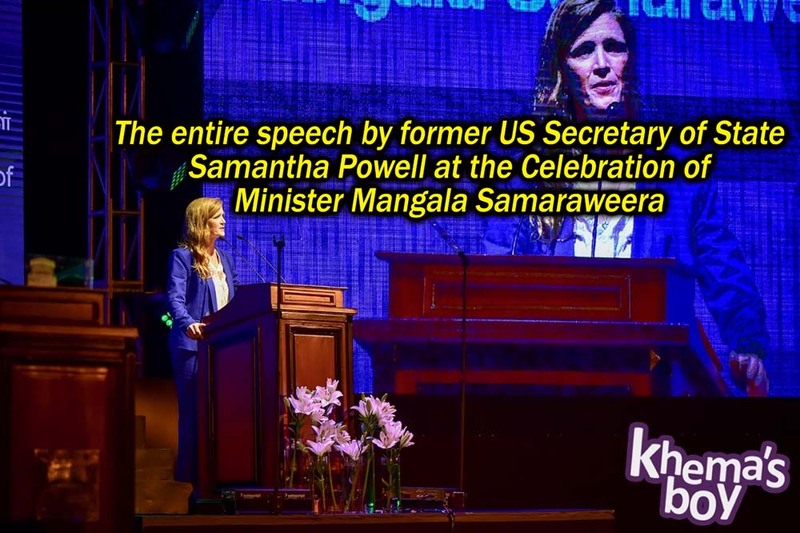 Mangala is well known for taking the fundamental step of recognizing past abuses and the critical need for reconciliation. As Foreign Minister he spearheaded the creation of the Office of Missing Persons, which is now finally operational. He helped push a law through parliament that will provide for reparations for war victims and survivors. But the best measure of Mangala’s regard for the dignity of those who have lost their loved ones or their livelihoods is that he knows none of this is nearly enough. It is the deficit of human dignity that explains so much of the tumult of our age. We ignore it at our peril. Second, Mangala has shown his belief in modernizing Sri Lanka. He has prioritized opening up this beautiful country to the rest of the world, including to the United States. 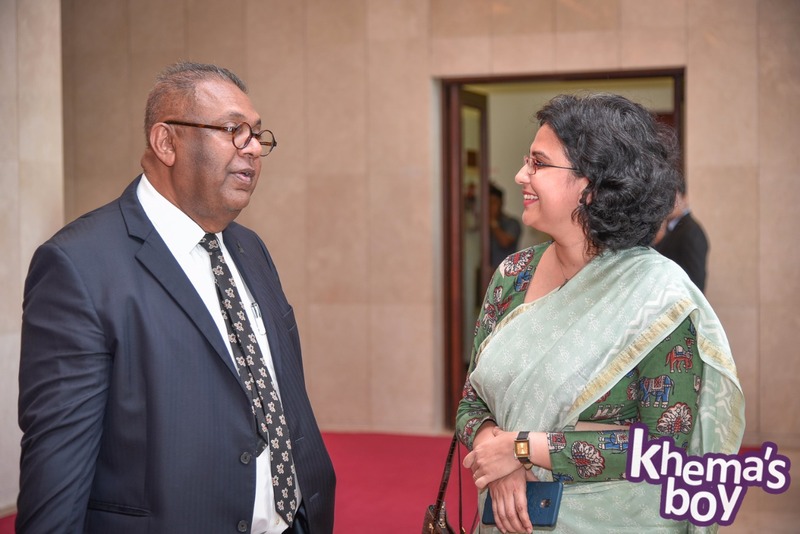 Long before this recent phase in his career, when he was Minister of Post and Telecommunications, it was Mangala who spearheaded the privatization of Sri Lanka’s telecommunications industry. This initiative introduced competition for the first time and knocked down barriers between the privileged Sri Lankans who had phones and those who had to wait as long as seven years to get one. Today Sri Lanka has one of the highest number of phones per person in all of Asia, and, despite being a country of 21 million, Sri Lanka is apparently home to 34 million cell phone subscriptions. This progress has been absolutely essential as a foundation for economic investment and growth. However, for all of the good we know technology can do, rapid advances in fields from social media to AI to automation are also posing profound risks to our democracies. These tools are going to be decisive in global development going forward, but governments must confront their dark uses as well as their boundless possibilities. I believe we need to dramatically increase our scrutiny of the effects of new technologies. That will require fresh thinking, critical perspectives, and bold steps by policymakers to find a better balance than we currently have—a balance that takes into account the impact that tech is already having on politics and human rights. In the United States, in the wake of Russia’s interference in our elections, and because of the deep divisions in our society, we are seized with the question of how falsehoods and echo chambers enabled by social media impact our domestic politics. But these platforms also have potentially deadly impact when it comes to the rights and well-being of marginalized groups. The UN, for example, has found that the spread of violent hate speech and falsehoods on Facebook in Myanmar played a “determining role” in the mass atrocities perpetrated against the Rohingya. From the Philippines to India to Mexico to Indonesia, technology that barely existed 15 years ago is being used to scapegoat vulnerable populations, exacerbate societal cleavages to the point of violence, and empower the most extreme voices. Mangala himself was one of the first political leaders to take to Twitter during the crisis to condemn the viciousness, sending a clear message of zero tolerance for politicians and others who incited racial violence. In societies like ours – with mixed ethnicities and religions, with free speech and extreme voices – we ignore this reality at our peril. I cannot overstate the impact of social media platforms. Despite going worldwide just 13 years ago, “Facebook has as many adherents as Christianity.” Thinking about it another way: at its height in 2018, Facebook was worth more than the economies of 167 countries in the UN – that is more than 85% of nations in the world! Here in Sri Lanka, apparently some 6 million people regularly use Facebook. This will surely grow as mobile technology becomes cheaper and more widespread. Asia is already the company’s fastest growing market. And when you include the total percentage of people who use WhatsApp, YouTube, Twitter, and even newer platforms, you are already talking about a significant portion of the population. When it comes to companies like Facebook, Twitter, and Google, which failed for too long to grapple with the dangerous uses and effects of their products, it does now finally seem that they are seized with the abuses that their platforms have enabled. Excellent investigative journalism, public outrage, and the threat of oversight has certainly helped. But these companies need to prioritize contributing to the health of democracy as a goal, right alongside making yet more money. This is important: the education and leadership of well-rounded, tech-savvy and civic-minded young people is going to be critical to reigning in the negative effects of new technologies. And probing seriously whether some of these tech monopolies have become so dangerously big – and so dangerous to open society – that they need to be broken up. Governments like yours also have an essential role to play. You are going to have to insist that Facebook uphold its “Community Standards” for all of Sri Lanka’s national languages, or face serious repercussions. It is simply not acceptable that Facebook has not invested more in equipping itself to monitor posts in languages like Tamil or Sinhala. A platform with this much influence and reach cannot get by just doing the bare minimum—Facebook needs to be far more transparent, so that experts and civil society can guide the company in how to do better in the context of the unique challenges Sri Lanka faces. As always, talking about technology is complicated – many countries would like nothing more than to have the grounds to regulate social media and the internet or to enhance censorship and surveillance—not to protect their people, but to protect themselves from scrutiny. Indeed, at the other end of the spectrum, repressive governments are increasingly able to use technology to control and manipulate their populations. Women in Egypt have been tracked down and arrested for sharing their experiences under the #metoo hashtag. The Mexican government has infected the phones of local journalists and members of civil society with sophisticated spyware that allows them to capture every text and conversation. Turkey – a member of NATO! – currently blocks access to 100,000 websites. But I think what Mangala’s career shows us is that we in public life have a responsibility to take into account the human consequences of our tools – and our laws. At all of his stops along the way, Mangala has demonstrated how public policy can be crafted to address societal ills that others would prefer to ignore. The tech companies won’t have any sustained urgency to change unless those with power – all of you – make it known that you care, and insist that they care too. Third and finally, Mangala has not only been a believer in democracy and the institutions that are the cornerstone of our respective systems, he has himself worked to strengthen them. He has been, in his way, an institution, a one-man check and balance. Can It Happen Here? Authoritarianism in the US. These books, and the feeling that democracy is in retreat, do not come from nowhere. They are moored in disturbing trends. Thirteen straight years of freedom in decline around the world, according to Freedom House, which has documented that it is consolidated democracies that are suffering from the worst setbacks. Overall, 68 countries suffered net declines in freedom in 2018 on measures like individual rights, freedom of expression and belief, and rule of law. Instead of rule of law, the Carnegie Endowment has documented how more than seventy governments in the last ten years have instituted rule by law, taking a number of serious measures to restrict civil society (from legal means like regulation to straight-up intimidation campaigns). There are no silver bullets when it comes to trends like these. But fatalism cannot be the answer. Yet a confidence gap seems to have overtaken our world – authoritarians strutting around, though their model rests on very fragile foundations; democrats, meanwhile, seem to be running for cover. Things did not turn out that way. Today, though, people have begun speaking of democracy’s decline with the same certainty. We must not make the mistake of replacing one triumphalist narrative – about the inevitable spread of democracy – with its doomsday opposite. Recent events within established democracies like the United States are a wake-up call. We cannot take for granted all that we have taken for granted – the durability of liberal institutions, the status of science, attachment to facts. But if you look at most autocracies and what lies ahead in terms of their ability to deliver for their people, I believe each of us would choose the resiliency and possibility for self-renewal of democracy. And recall: despite the very real and worrisome backsliding, looking at all four of the most widely used and accepted databases that assess democracy over time, the percentage of democratic countries in the world in 2018 were at or near their all-time high. You will unfortunately hear very few democratic politicians making these points, but allow me to summarize the essence of the argument: democracies have the better model! In autocracies economic growth is likely to be impeded by stagnant state-owned enterprise and a lack of transparency in the economy. Even in China growth is slowing, and one wonders how secure investors will feel with the arrest of expatriates and the absence of due process and property rights. Autocrats often overreach because they don’t hear from critical voices in their inner circles and often prefer the company of sycophants. If you worked for a strongman, you would likely be reluctant to be the bearer of bad news to your leader. In the military, the most capable officers may be less likely to rise than the most loyal. When you have no term limits or put in place a President for life, it can breed decay. While innovation is flourishing in some sectors within certain autocracies, we have reason to question whether innovation will be undermined in the long term by the absence of freedom of speech and the presence of fear. And finally, one of the biggest factors explaining the appeal of illiberal or populist leaders is inequality and the feeling of many that they are being left behind – a trend that will increase with growing automation. But there is no reason to expect that autocratic or authoritarian systems that concentrate power at the very top will more equally distribute benefits than liberal democracies. I do not mean to understate the challenges of maintaining a truly democratic society. My country and your country are facing turbulent times. The last time I was here, I could never have guessed that an American President would attack the judiciary, the press, women, minorities, our diplomats, our intelligence professionals, our law enforcement officers, and many of our closest allies. In the US, many of the ills we face – intense inequality, big money in politics, gerrymandering and restrictions on voting rights, corruption, polarization, racism and exclusion – have raised serious questions among our own people about how functional our democracy is in the twenty-first century. 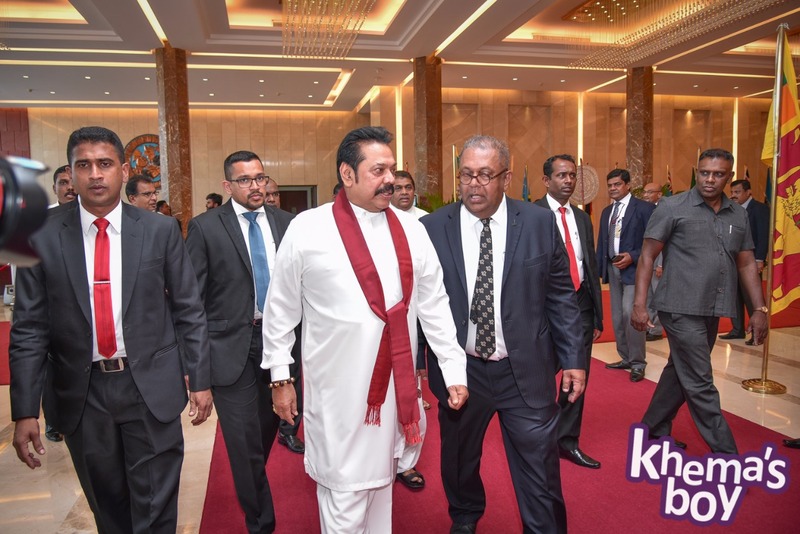 Sri Lanka has experienced its own political crisis, which raised alarm bells all around the world. But critically, while our respective institutions have bent, they are not breaking in the US, and they are not breaking in Sri Lanka. In the United States, journalists have done an extraordinary job investigating corruption and calling attention to abuses of power. In a number of cases, dogged reporting has led to resignations and exposed terrible wrongs. After doing almost no oversight for two years, our Congress has just been reinvigorated. There are more than 100 women in the House of Representatives for the first time in American history. More young people and women and minorities are running for office than ever before. And our state and local governments have taken a stand on many pressing issues, from climate change to immigration to voting rights, that the federal government is failing to address with any seriousness. Both traditional and new media outlets were able to play a key role in keeping Sri Lankans informed and keeping institutions accountable. Civil society – and again, both new and established groups – were active and effective. And your judiciary stood by the Constitution and enforced the rule of law with great independence and seriousness of purpose. All of this is a credit to the resilience of Asia’s oldest democracy and to the checks and balances that Mangala championed over the years. I hope that for both of our countries, the response to the challenges we are facing – and navigating – will end up affirming the enduring strength of democratic institutions and necessity of democratic accountability. 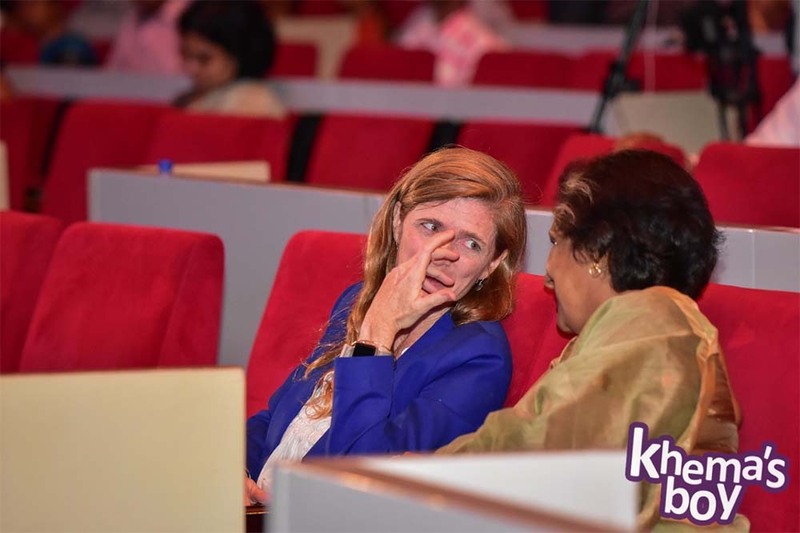 Your hope, Mangala – that Sri Lankans “create a civilized society where humanity and decency flourish and the rule of law is respected” – is what I hope for both of our countries. And I look forward to the continued friendship between our two nations as we work together to make it happen. Allow me to conclude with a little history. Around a century ago, German sociologist and economist Max Weber was invited by a liberal student association at the University of Munich, in Germany, to give a series of lectures on the theme of intellectual or spiritual work as a vocation. Germany had surrendered in the First World War not long before Weber delivered one of his lectures, “Politics as a Vocation,” on January 28, 1919. The utter destruction wrought by the war – human, physical, moral – was unprecedented in its scale. It was not a time of much confidence in the capacity of politics to be a force of human progress. It was surely one of the more difficult times and places in which to make the case for politics as a vocation. Yet against that backdrop, Weber set about trying to answer, in his words, “what kind of a human being one must be to grasp the spokes of the wheel of history.” Weber laid out three interdependent qualities, each of which he considered indispensable to the vocation of politics: proportion, responsibility, and passion. Proportion, in Weber’s view, was about maintaining the appropriate distance from a policy decision or endeavor in order to be able to analyze it rigorously and objectively, and to bring a necessary degree of humility to one’s ability to shape the world. Responsibility involved remembering to think through the likely consequences of proposed actions and interventions – regardless of how well-meaning or logical the motivations behind them. Passion was what Weber defined as a kind of “inner gravity” – the driving force behind one’s convictions. We are not coming out of a harrowing world war, but Sri Lanka suffered a brutal 26 year civil war that ended only a decade ago, and all of us are living in times that can test our faith in politics. And yet I am as convinced as ever that despite all the cynicism out there, our strength will rest where it always has – in those individuals willing to serve, and the convictions they bring to the human endeavor of politics. Individuals who see the flawed world as it is, but are willing to say, “Nevertheless!” and strive to build a better world. Mangala is one of those individuals, and I join you today and all days in thanking him for his thirty years of service. We all know the best is yet to come.